Did you or anyone known to you give the All India Pre medical Test (AIPMT) 2015, held on May 3rd? If yes, then this article is for you. 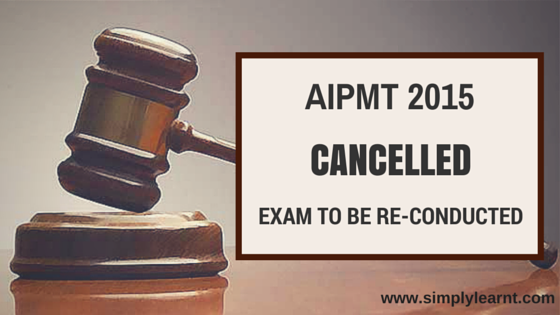 The Supreme Court has canceled AIPMT 2015 exam results and has directed the CBSE to conduct fresh test within four weeks. How can I prepare for AIPMT 2015 exam? – Simplylearnt can provide you all the tools that you need to prepare for AIPMT re-examination with SMART subscription and test Series.